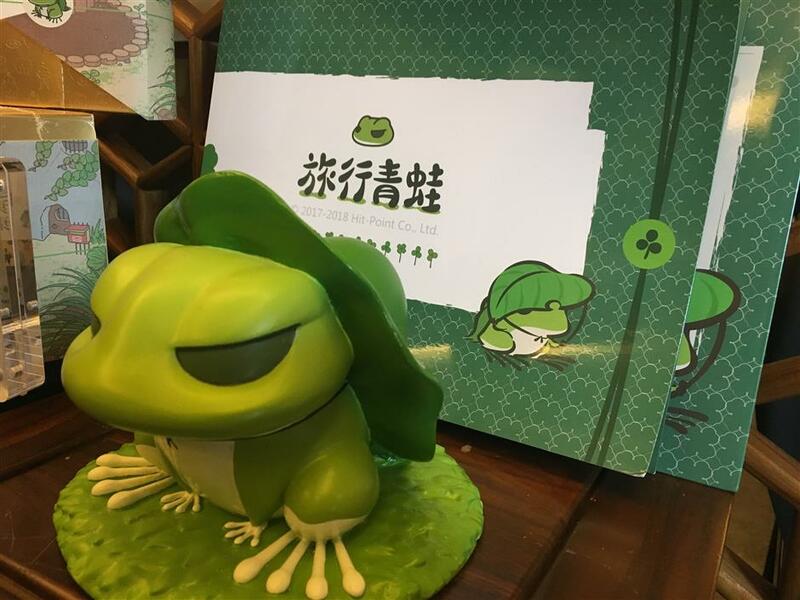 Alibaba said the local version of popular game "Tabi Kaeru: Travel Frog" is expected to generate at least 120 million yuan of derivative sales following an exclusive deal. Alibaba said the local version of the popular leisure game “Tabi Kaeru: Travel Frog” is expected to generate at least 120 million yuan (US$19 million) of derivative sales after it officially launched the Chinese version of the game earlier this month. Alibaba Pictures vice president Wu Qian said its entertainment business and licensing unit aims to connect licensed merchants of derivative products with its online retail platform. The Chinese e-commerce giant inked an exclusive deal with the game’s Japanese developer Hit-Point Co in April to integrate localized elements and style into the game. Currently about a dozen licensed merchandise products are already available on Alibaba’s retail platform, including tailor-made postcards from China Post and daily consumer goods such as grain and oil made by COFCO’s grains and cereals business group. A total of more than 100 types of merchandise are in the design and manufacturing stage. Developer Takasaki Yutaka from Hit Point said both parties aim to extend their product reach through online and offline channels. The local version has created a new face for the original game and serves as a boost for the merchandising of the frog figures. “We’ll be aiming at expanding the commercial market size for ‘Travel Frog’ in China and we’re already working with more than 30 partners, including contract manufacturers, to reach out to more potential clients and gamers through our platform,” Alibaba’s Wu added. By the end of March, the game had been downloaded more than 16 million times by Chinese iPhone users, and although the initial buzz of the game is gradually fading away, the e-commerce giant is looking for opportunities in merchandising and co-branding activities. Unlike dominant players in the gaming field such as NetEase and Tencent, Alibaba hopes to tackle the gaming market by leveraging from the interactive features of its shopping platform, and at the same time providing its resources within the digital entertainment ecosystem to local licensed merchants.